As if reciprocity fees for entrance into South American countries aren’t burdensome enough to the budget traveler, tourists must know pay online before arrival. So much for carefree backpacking. Effective before the end of October is a new procedure for paying entry fees to visit Argentina, a change that potentially could keep uninformed travellers stuck at the airport and unable to enter. 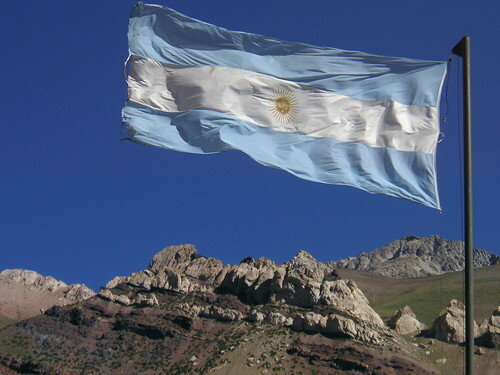 Tourists can avoid the fee by busing into Argentina from neighboring countries. Photo by Beatrice Murch. Beginning 31 October at Buenos Aires’ regional airport Aeroparque and 28 December at the international airport Ezeiza, visitors from the US, Canada and Australia must pay the required reciprocity fee online by credit card before arriving in Argentina. Previously, travellers from these countries could pay the fee using cash or credit card at the airport when passing through immigration.